FACEBOOK FRIENDS DO NOT REALLY CARE! If you have thousands of friends on Facebook, most of them are not your real friends, reports The Sunday Times of London. Jared Newman beat me to this…So, here is his article! It’s Doppelganger Week on Facebook, which means if anyone’s ever said you sort of, kind of look like a famous actor, musician or athlete, now’s the chance to pretend you’re just as beautiful. 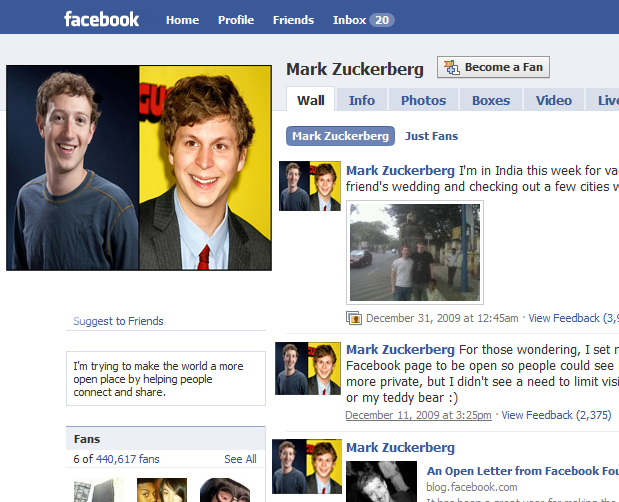 All you have to do is change your Facebook profile picture to any celebrity that shares a resemblance. Expect a lot of Tom Bradys and Megan Foxes. The origins of Doppelganger Week are mysterious.